The issue with the French amphibious assault ship (UDC) project Mistral can be considered solved. At least two such ships in the coming years will join the combat strength of the Russian Navy. But even in this case, the next question is still open. French "Mistral", as well as other UDC, created to fit the horizon landing. This means that the ship itself during the landing of troops and equipment kept at significant distance from the shore. Delivery personnel and armored vehicles in this case is special landing craft that during the campaign are located in the docking camera ship. Specifically, before landing on the boat sinking machinery and people, then they come out of the docking camera and go to the beach. 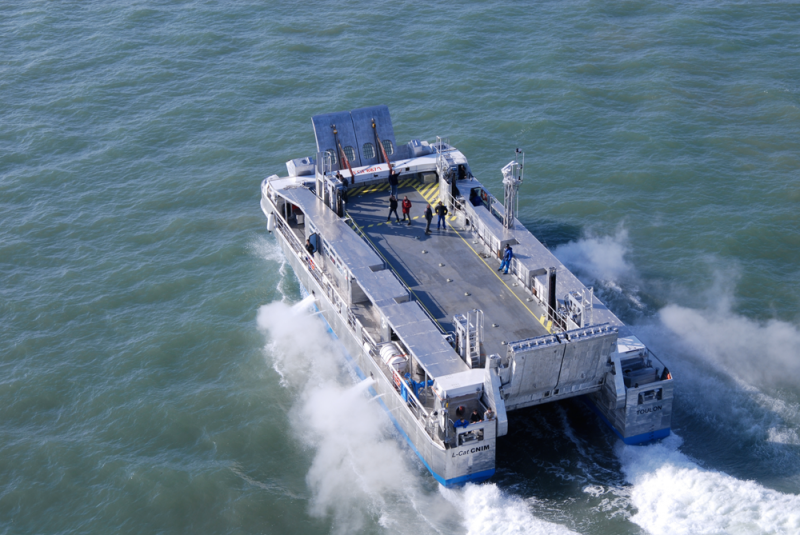 At the current time on the French ships of the "Mistral" new landing craft operated by L-CAT (Landing-CATamaran — «Landing catamaran "), also known by the French designation of EDA-R (Engin de debarquement amphibie rapide -« High-speed landing ship"). With a length of 30 meters and a width of about 12 such boats have a displacement of the order of 280-290 tons. Dimensions L-CAT can be placed in a docking camera "Mistral" is one such boat, and the remaining space will be enough for 2-ships of a similar purpose, but the smallest size. Despite the small size is comparable, each landing catamaran capable of taking on the order of 80 tons of cargo and up to 30 nodes to transport it to the range of a few hundred nautical miles. French designers have decided in an unusual way the problem of the balance of running properties and load capacity. To get the best value for them, L-CAT has a fascinating design. Inter with 2 buildings catamaran design is wide and longish platform for the payload. To go with the highest rate of the platform rises to the top position and the boat is a catamaran vsepolnotsennym. Reaching the shore platform is lowered into the last bottom position, then landing craft acquires all the characteristics of a punt and can be very close to the shore. With a flat platform maximum speed drops to 10-12 knots, but so slowly L-CAT is only moved close to the shore. Standard catamaran desired load of 80 tons can carry one or two tank AMX-56 Leclerc armored vehicles or more lower mass. To increase the load up to 110 tons is always required to go with a lowered platform in the down position, which significantly reduces speed. 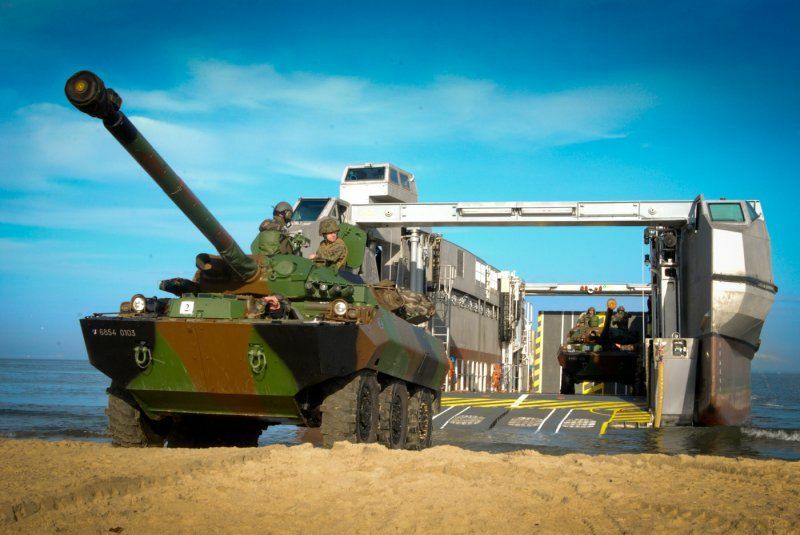 Due to the versatility of the loading platform, launches L-CAT can carry virtually all of the available vehicles in service with the French army of tanks and armored vehicles with a weary arms to ambulances and engineering machinery. We should also mention the fascinating design feature catamarans, greatly facilitate their operation. For ease of loading and unloading equipment and personnel has two boat ramps at the bow and stern. Namely, it allows you to place two boats docking at the camera and upload them to the ship, with the loading of the 1st second will be used as a bridge between the ramp and the first ship catamaran. At the same time, the application of technical solutions are complex and are not completely invulnerable landing craft, and in some kinds of cases can lead to nasty consequences. 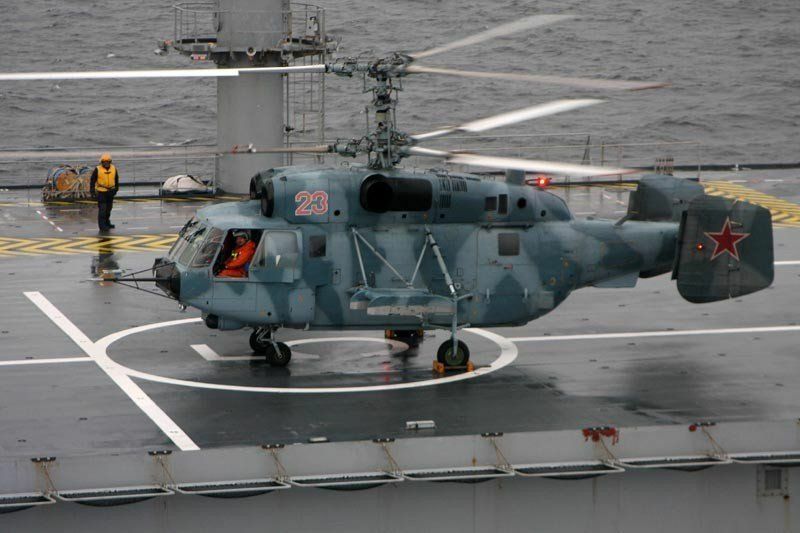 Yet, despite all the shortcomings, launches L-CAT zatarivaemsya French naval forces in the future will be exported. Of course, the advantages of similar landing craft look more important than the bugs. In the light of the Russian-French agreement to supply "Mistral" could be to wait and agreement on the boats L-CAT. 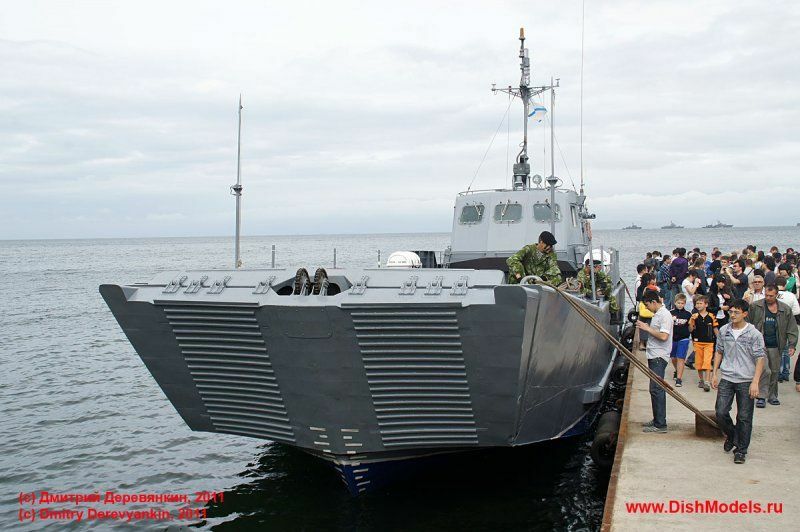 But after a couple of years after the announcement of the purchase of imported UDC Russian military have not announced their plans for the landing craft to them, at any rate, over the purchase of imported equipment such class. On this basis, one can imagine that the "Mistral" Russian Navy will be equipped with Russian assault boats. More potential "candidates" for this project are the boats 11770 "Serna" and 21820 "Dugong". There are also good prospects could be hovercraft project 12061 "Murena", but of course they can not fit into the dimensions of the camera docking "Mistral". By the time the true was built eight boats of the project 11770 "Serna". Developed in Nizhny Novgorod CDB SEC them. Alexeyev boats have the lowest compared with L-CAT dimensions. Their length is a bit less than 26 meters long and about 6. Dimensions landing deck allow "sulfuric" carry about 40-42 tons of cargo: the main tank, two armored infantry or two armored personnel carriers. Also may only transport personnel — up to 92 people with weapons. Boat project 11770 can accelerate to 30 knots and cover distances of up to 600 miles. Such highest driving characteristics are achieved by the unique propulsion and hull forms. Two diesel engine M503A develop capacity of 4,000 horsepower and torque is transmitted to the so-called Solid water jet. From the ordinary jet is characterized in that the tube with a screw gets air trapped underneath the boat. The fact that an increase in running characteristics project "Chamois" anticipates high-speed movement with the introduction of an air cavity underneath the boat. As a result, formation of the air gap between the water and the body of the boat is lowered resistance and "Serna" may develop over the highest speed. amphibious assault ship and landing craft. And yet, if you want you can accordingly find a way to change the load boats immediately before landing, it just takes excessive time. Landing craft project 21820 "dugong", also developed in Nizhny Novgorod, in some measure similar to "Serna", but have a huge size and, as a consequence, huge amphibious capabilities. So, with a total length of 45 and width of about 8 meters "Dugong" can carry up to 140 tons burden. It may be two tanks, five armored infantry or armored vehicles or up to a hundred and fifty men. Noteworthy that capacity "Dugongs" allows you to take on just three of the T-72, T-80 or T-90, but the size of the deck for landing do not allow full use of this opportunity. In the case of the heavy armored boat project 21820 can carry less than 2-machines. The rest of the load can be "GET THERE" with the infantry or other goods. Driving characteristics of the project 21820 boats are about the same as that of the "Cerne". By the time the true composition of the Russian Navy has only one such boat, the other four are still in the stocks at shipyards in varying degrees of readiness. It is easy to guess that the dimensions of the boats of the "Dugong" in camera docks UDC Mistral fits only one such craft. With this ability by dropping Trim amphibious assault ships does not look the best and most comfortable. So Makar, the best option remains available from the boat project 11770 "Serna". They provide the best balance between payload, speed of delivery of troops to save and ease of use with existing UDC. In addition, because of their own smallest size "Serna" in practice may prove more resilient in comparison with larger boats. The defeat of the high purposes of the smallest size is a little more difficult, because in terms of survivability, "Serna" outperform "Dugongs". As for his firepower, both types of landing craft approximately equal. Both of them can only carry guns of various calibers — for example, "Dugongs" installed two 14.5-mm machine gun CPV — and man-portable air defense systems "Igla". In general, the implementation can now be not only one "Cerne". As required in the docking camera "Mistral" and can fit "dugong", and "Serna", but it will claim special effort on the part of the crew that the two boats encountered. So Makar, a single flight both boats 1st UDC will be able to deliver to the bank to 170-180 tons of cargo: three tanks with infantry or 8-10 BMP / armored personnel carriers, and four "Serna" will be able to put four tanks, eight armored vehicles or a certain number of Corps weighing 160-165 tons. It turns out that the difference in the application of several of the same type or of different types of 2-boats is not so great, if you look from the standpoint of the payload. The main tasks in the domain of the current need to touch the tactical aspects of the landing operation. Regardless of the state of the coastal defense, training of the landing area, time constraints, etc. would be nice maybe like one or the other Trim UDC boats. Furthermore, the number of possible options for configuration ship boats could expand if Russian military sailors set out to purchase from France is not only the "Mistral", and catamarans L-CAT. 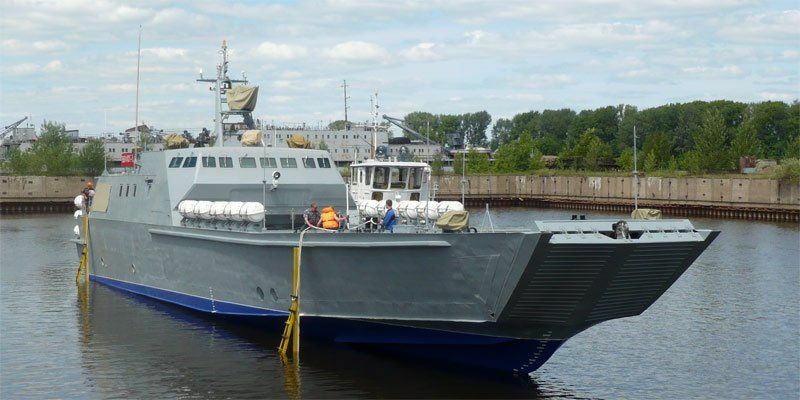 Regardless of the ability to purchase luxury catamarans, the Russian military and shipbuilders should pay attention to the nuances of the quantity of available landing craft. By the time the true built only seven boats and Project 11770 one 21820. So Makar, to equip the new amphibious assault ships of French production, most recently, to build several new landing craft. Thus there is increasingly less and less time on the determination of the desired composition "katernogo group", because in the case of absence of new UDC will be common, but expensive training ship, which can be used to prepare and maintain the skills of the crew, but they can not do their main combat tasks. Is noteworthy that the situation of the aviation group for the new amphibious assault ships even clearer and clearer than with boats. 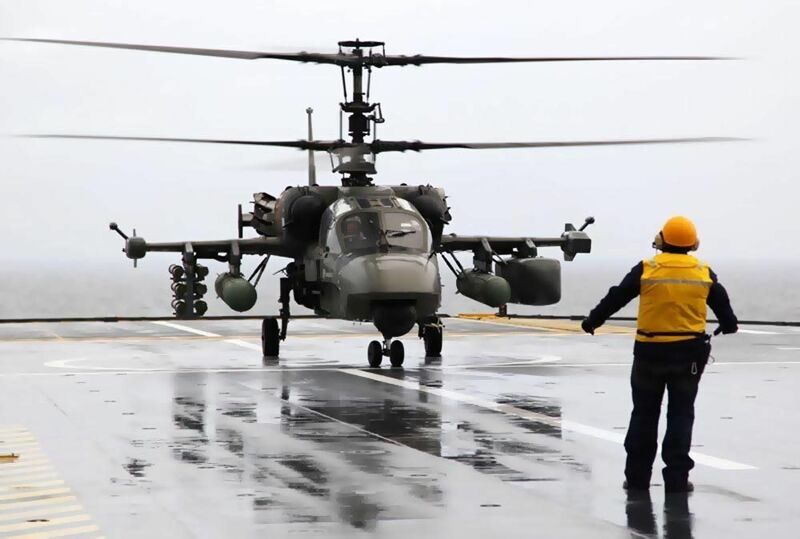 Already at this point it is clear that support for the Russian troops from the air "Mistral" will use attack helicopters Ka-52K, and to transport and support tasks — Multi-purpose Ka-29 or the like. The total number of aircraft on board UDC little exceed 30 units. As for the land desantiruemye technology, the size of a deck "Mistral" lets you carry almost all armored and unprotected tracked or wheeled vehicles, available in service. For example, according to estimates of French designers and the military, in the holds of UDC with a total area of 2650 square meters can accommodate up to forty-tank "Leclerc", their crews and several support vehicles or 12-13 tanks and 45 armored vehicles of other classes. So Makar, the officers and generals who will plan the landing operation, would not virtually no restrictions on the composition set down to-sparing technique. As we see, not only just enough to order and build a new landing ship. Brand new addition to our fleet concept ship designed specifically for the horizon landing requests to perform additional steps. However, these measures, as well as the purchase of the new UDC, significant impact on the appearance of that part of the Navy, which should provide landing Marines on Preserving the enemy. Under the current criteria, seems to have no other choice, because the Russian navy amphibious ships and boats palpable behind the leading global standards. 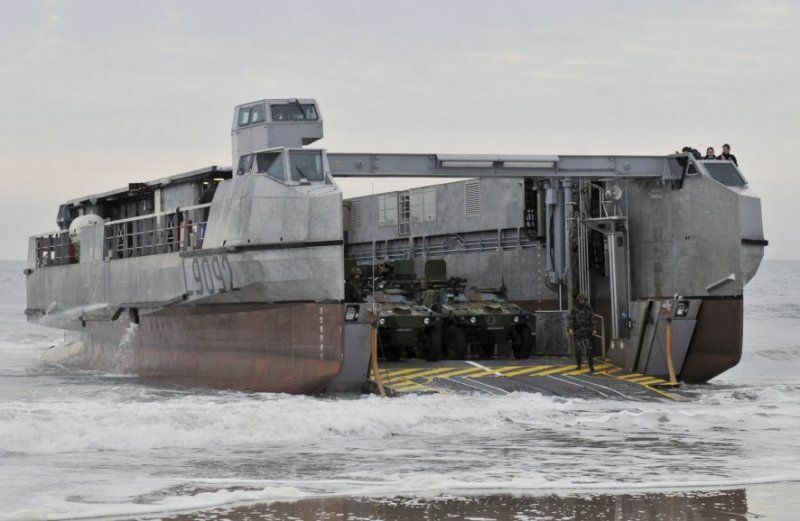 Because, while some Russian companies to help with the construction of the new French UDC, others should do the construction or, at a minimum, the construction of landing craft available, or new projects.